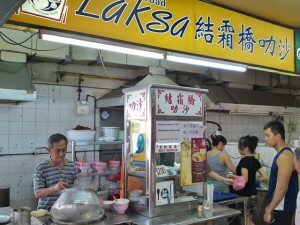 Home / Chinese Cuisine / Sungei Road Laksa: Sungei Road Revisited To Look For The Real Stall! 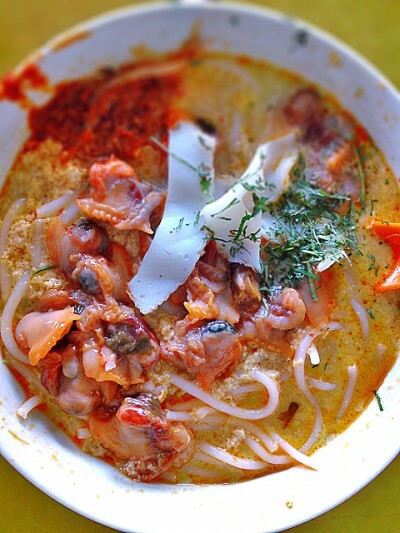 What do you think are the defining points of a shiok laksa? The Katong version outshines the normal ones because of the more robust gravy but what exactly are the extra ingredients? Some said Katong laksa’s gravy uses cow milk while others said it’s soya milk and I personally think that it could be sweetened condensed milk. I guess at the end of the day, it’s all about getting the hits to your umami right with the correct balance of the 5 Ss which are the sweetness, sourness, saltiness, spiciness and shiokadodoness. 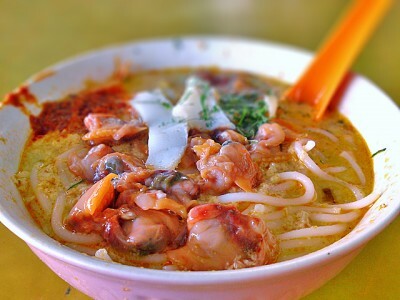 The fact is a bowl of Katong laksa usually leaves people yearning for more while the normal ones somehow gives you a kind of ‘jerladness’ especially if you finished the soup right to the last drop in the bowl. 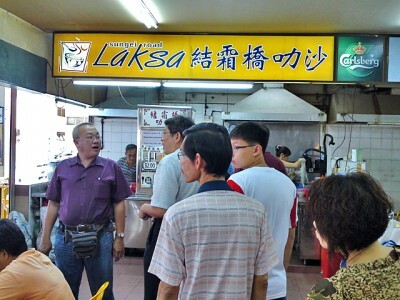 For those who don’t know, I this suaku went to Sungei Road and gullibly joined the queue at the wrong laksa stall. That gave me an excuse to head back to Sungei Road to locate the ‘real’ laksa stall so here I am on this fine shine day to see whether my taste bud can be convinced that Sungei Road is indeed famous for the right reason. The first extraordinary thing I witnessed is the queue which was something like 20 person strong though luckily it only took up 10 mins of my time. The second extraordinary thing is that the laksa soup were been kept boiling by a charcoal stove. ‘Old school, old school!! !’ was what ringing in my ears as I saw most people in the queue buying a large bowl. Truth is, it didn’t look appetising so I was having reservations about it being really shiok though I have to agree that most shiok food don’t necessarily have to look shiok to the eyes. The soup tasted like a milder version of the katong laksa with a subtle hint of the coconut milk. Other than it being a little diluted(compared to the Katong version), I guess it’s quite delicious. Won’t call it spoon-licking good but the balance of the 5 Ss is right and it’s definitely a laksa I can imagine eating everyday without feeling ‘jerlad’. I guess the mild milkiness combined with the 5 Ss is what makes this special. The ingredients and the noodles tasted normal but for $2, I think it’s fair that one should not expect the shiokness to be extremely overwhelming. So is this better than Katong Laksa? It does have it’s own uniqueness in the taste and the flavour is definitely quite authentic. In spite of the lack of robustness in the gravy, it is more than compensated for by the the lovable balance of the 5 Ss. Conclusion: To give credit where it’s due, this is, arguably one of the best I’ve eaten in terms of balance of the taste in the gravy. However, the ingredients and noodles are normal but yet you’re only paying $2 for it so this come across as shiok comfort food. Won’t call this outstanding but very satisfying and definitely have enough oomph in the gravy to make you feel your $2 is well spent. I have been eating from this stall for more than 40 years and I still go back very often. Even my American son-in-law loves it so much.